The 2600 SZ is has always been a great favourite of mine Its looks are aggressive from the front, with a distinct lack of the fussiness that was very fashionable at the time. 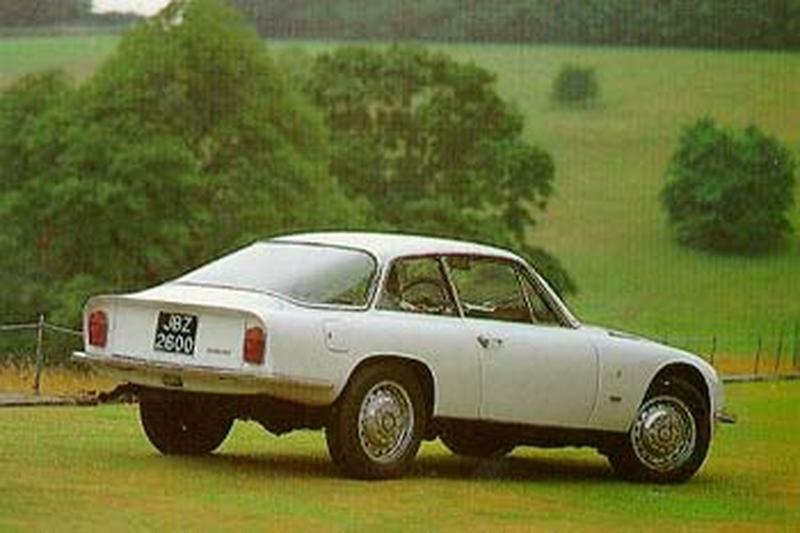 The 2600 was and still is a heavy car to drive and it takes preparation to corner, it is no where near as light and nimble as a Bertone Coupe of similar vintage and Zagato in their usual fashion took the chassis and tried to address this by shaving 140 kg off the weight, while increasing the power output by 15 bhp to 145 bhp. This helped to increase the cars sporting credentials and while it was not an Aston Martin DB6, it could at least show its little brother the GT a clean pair of heals in a straight line. However it was never going to be the racer that other Zagatos were at the time. 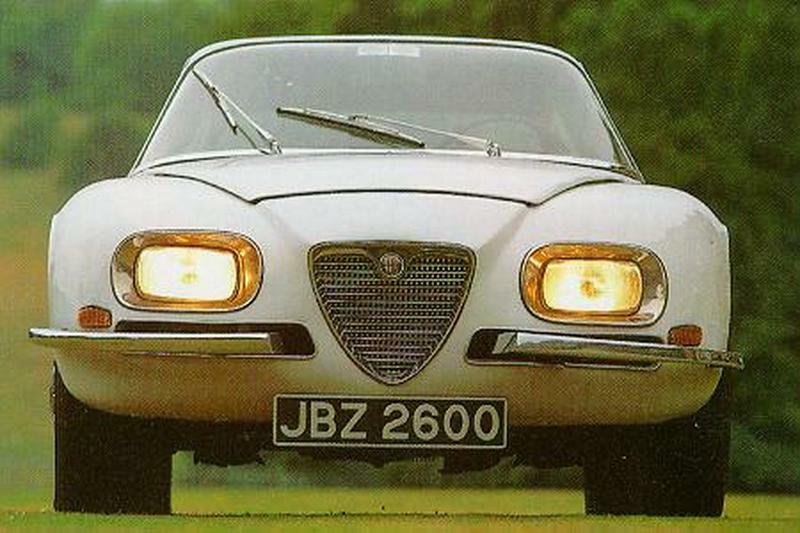 The 2600 SZ was produced in miniscule numbers with the total production only amounting to 105 cars, however it was listed as an official product by Alfa Romeo and at its release at the 1965 Frankfurt motor show it was received with great interest. However the list price of 3,970,000 lira was three times the price of a Bertone GT and so it was only ever going to be a rich mans toy. The all aluminium straight 6 engine maintained all the internal dimensions of the 2600 and the improved power was achieved through changing the compression ratio. All the Zagato modifications only managed to increase its to speed to 210 kmh only 10 kmh faster than the Sprint. The suspension on the 2600 is double unequal length wishbones at the front with a live rear axle, and this managed to keep the car in line through the corners with only a slight tendency to understeer. Braking is by servo assisted disks all round and when set up correctly these are very effective. 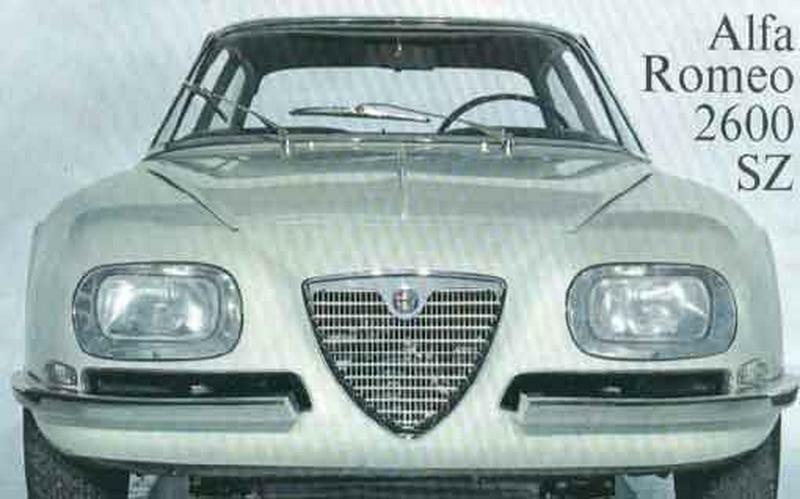 The 2600 SZ like most of the cars produced by Zagato has stood the test of time well and the exclusivity of being one of only 105 ever produced guarantees that this will always be a very collectable car.